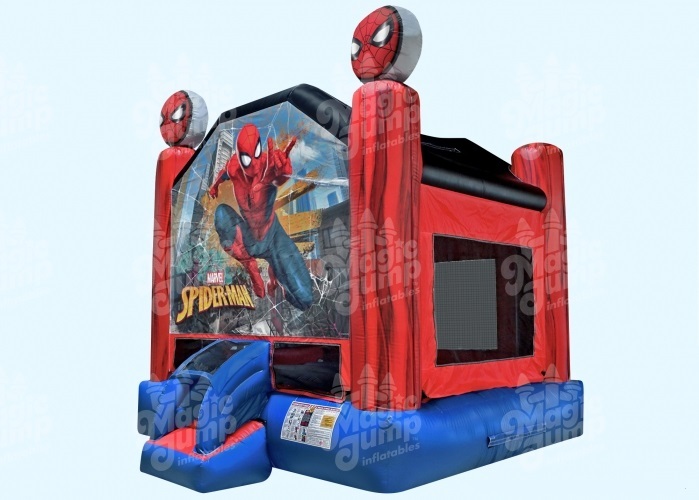 Courtesy of your friendly neighborhood web slinger comes the Official SPIDER-MAN bounce house. It has plenty of space for up to 5 friendly neighborhood friends at a time to bounce, hop, skip, and jump to their heart's content. 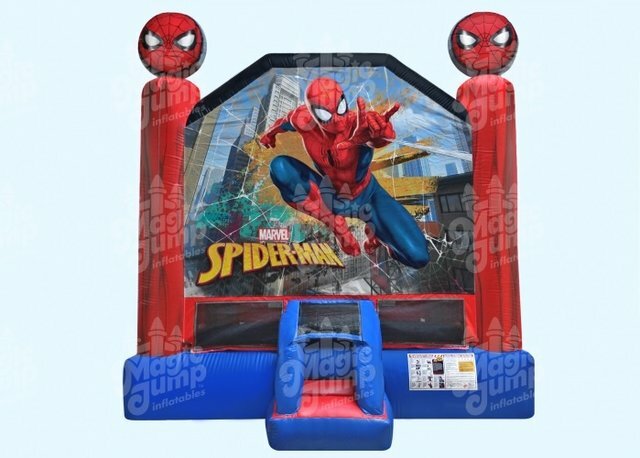 Made in the USA with premium materials by master craftsman, the SPIDER-MAN bounce house is designed with fully licensed digital artwork and the logo from Spidey’s uniform as embellishments on top of both front vertical pillars. It is a spectacular & amazing ride that is suitable for all occasions. With safety features such as a safer entrance/exit ramp and emergency exit.